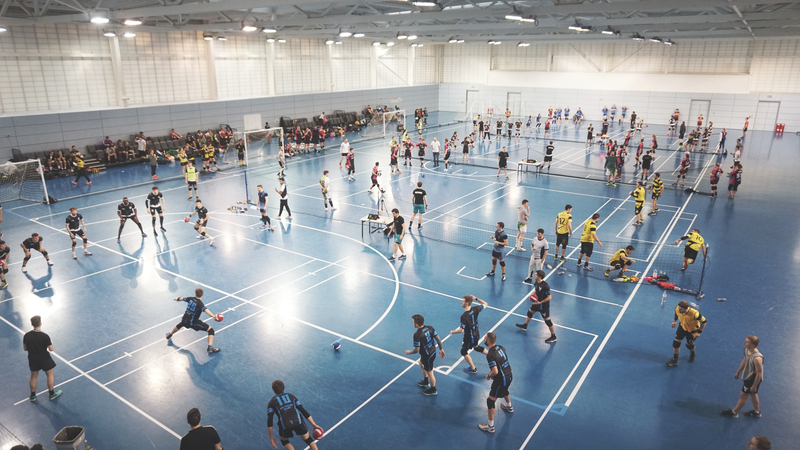 What a fantastic league season it has been at British Dodgeball, 128 teams competing across 16 leagues in community and university dodgeball. Next season will be even bigger with expansions in both the university and community league system coming in. Here is a quick recap on the community leagues across the UK and some early details of the 2018/19 league season. Congratulations to the Lutterworth Meteors on winning all 18 of their league matches this season. An extremely strong team that will be keen to do the double and win the British Championships next month. Congratulations to the Bedford Mighty Eagles on winning 16 matches in a row since round 1. Only dropping the 1 match when they were a player short. Congratulations to the Bedford Rangers 1st team for winning all 18 of their league matches this season. Also congratulations to London Storm 2 on gaining promotion. Congratulations to Bedford Rangers on a dominant performance throughout and claiming the title and promotion. Congratulations also to the Manchester Honey Bees on their promotion. Congratulations to MK Cyclones on a strong second half of the season that saw them come out of the pack in an extremely close league 2 to claim the title. Also congratulations to the MDL Raptors on sneaking into second place and gaining promotion on set difference. Congratulations to Kapow for claiming the title in a nail biting finale versus the Queens Comets. Down at half time the Kapow players played brilliantly throughout the second half to win against their local rivals in the last match of the season. 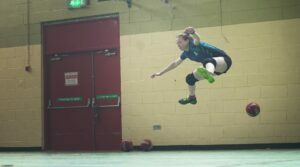 A league within a league saw the Belfast Black Widows remain undefeated against the other women’s teams in the Irish League 1 and finishing above the Dublin Blue Belles and the Queens of Queens. Some closely fought matches between all the teams in the league with lots of new players playing league dodgeball for the first time. Congratulations once more to the Belfast Black Widows on winning the Irish League 1. The Granite City Guerrillas were impressive throughout the Scottish Super League, claiming the win in all of their matches in this Aberdeen based league. We are looking forward to new clubs joining the league next season as the popularity of dodgeball continues to grow in Scotland. A new league in dodgeball sees new challengers and new clubs competing in league dodgeball for the first time. Congratulations to the new clubs from Carmarthen and Bristol and the emerging university teams of Aberystwyth, Swansea and Cardiff for making this a really competitive league and pushing the Rhondda Dragons close throughout. The English Community Leagues will once again take place at the impressive St Georges Park near Burton-Upon-Trent. Next season we will be introducing a league 3 in the Men’s divisions and looking to expand the Women’s league 1 to close to 10 teams. The Northern Ireland Leagues will be taking place in Belfast. There will be 7 rounds and we aim to ensure all dates are on the same day as the English rounds. Confirmation on the dates has not arrived yet from the venue, as soon as this is in place we will notify the member clubs and publicise these. The Scottish Super League will be taking place at the same venue in Aberdeen as this season. We are hopeful of 1 or 2 more teams and will be communicating with our Scottish representative and clubs to ensure these dates and times best suit all. Much like the Northern Irish leagues the Welsh leagues will be taking place over 7 rounds and on the same dates as the English league rounds. We are currently working with local partners to source the best venue for the league. British Dodgeball is introducing 2 mixed leagues that will be taking place in Stafford on the below dates. The mixed leagues will follow the standard mixed rules of 3 male and 3 female players. The mixed leagues are open to community clubs only and there will be a Super League and League 1. Teams will be positioned either in the Super League or League 1, positioning will be determined by our rules committee. We also appreciate that there can be changing circumstances at clubs throughout the summer and if you know now that your club is not going to enter next seasons leagues or that you are going to enter less teams than this year or if you are merging with another club please do get in touch now as this will help greatly with our planning. Also regarding the mixed league, we are taking expressions of interest now and letting us know early will really help. We have a capacity of 2 leagues of 8 teams and we know competition for places will be strong.